1] Sanjay Dutt’s father Sunil Dutt used to live with his father in Pakistan, after India-Pakistan partition Sunil Dutt moved to Haryana, India where he lost his family and found in a camp after 3 years. 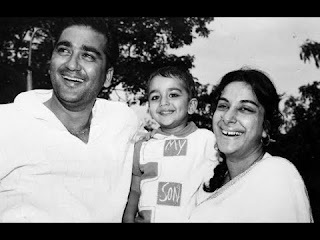 2] When Nargis Dutt was pregnant, Sunil Dutt posted an ad to a magazine where viewers can suggest a name to their child. Both went with many names and later Sanjay named popped up and they love that name too much and decided to give this name if it’ll a boy, this is how Sanjay Dutt got his name. 3] Sanjay Dutt’s father Sunil Dutt and his friends used to have parties in their home and when they throw the cigarettes in ash tray then Sanjay Dutt (9 years old) used to pick it up and smoke 2/3 drags. One day Sunil Dutt caught him smoking those cigarettes and scolded him a lot, later Sunil Dutt decided to send him to Boarding School for 11 years. 4] Even after sending him to boarding school his lifestyle was as it is, he used to go out of school secretly and used to buy alcohol and cigarettes. Sanjay and his friends used to go out in hills after lunch and smoke weed. He even got punished many times in school but his life was still unchanged. 5] Sanjay Dutt is married thrice, his first marriage was to actress Richa Sharma in 1987 but she died due to brain tumor in 1996. His second marriage was to model Rhea Pillai in 1998, he proposed her on Valentine’s Day and even married on that day too, he didn’t tell anybody about his marriage not even his father, Sunil Dutt came to know about his marriage via newspaper/TV. Sanjay and Rhea officially took divorced in 2005 because Rhea was dating someone else. Later Sunjay married with Manyata (who was C grade movie actress) in 2008, Sanjay later bought all her film rights and song and deleted them. Luckily they’re both together till the date. 1] Sanjay Dutt tried drugs in his college life, where he used to be shy to talk with other girls. His friends suggested him to do Cocaine and Heroine so he could talk with girls without any fear, but his decision with drugs was wrong and those drugs ate up whole 12 years of Sanjay’s life. 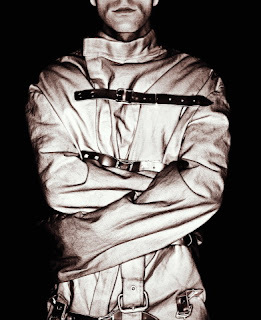 Later Sanjay confessed to his father to pull him out of his drug problem, so his father Sunil Dutt sent him to Breach Candy hospital in Miami where he was tied in straitjacket for 25 days. 3] Breach Candy’s doctor gave a 2 page list of drugs to Sanjay where Sanjay need to tick mark for the drugs he consumed/took. Sanjay Dutt just looked at those papers for a while and later started marking one by one and he reached end of the list (Marked All Boxes). Doctor was shocked after seeing his list, doctor said to his father Sunil Dutt that no one can survive till now if you have consumed these all drugs. Doctor said, “your son is lucky to have here and thanks to your Indian food that saved you till now”. 4] After the treatment on his drug addiction, Sanjay Dutt wanted to be in Texas and wanted to raise and cattle and wanted to invest his money in farming, but his father asked him to return for his sake, for his respect and wanted him to join film industry again and Sanjay did what his dad said and now he’s superstar of Bollywood. For your extra knowledge about Sanjay, when he said that he wanted to be in Texas and want to raise cattle, so let me tell you one incident behind this story. 5] Sanjay Dutt met a person named Bill (who was with Sanjay in Rehab) in Texas and spent 1 month there in his farm, he rode horses he fed cattle and all. He enjoyed his life and he wanted to live there but as I mentioned above, his father asked him to join Film Industry. After 15 years Sanjay Dutt flew to Houston and he met his friend Bill again and Bill showed his cars and house to Sanjay and he was now owner of $500 Million and some luxury cars and jets. 1] Sanjay Dutt had a gun AK56 which was given by 2 people Samir Hingora and Hanif Kadawala (actually they were offering 2 more guns and some hand grenades) because back then in Mumbai there was many riots were happening and Sanjay felt that he should need a gun for his safety. He flew to Mauritius and he forgot about gun which was kept in his car, and the police seized his car and called him to India. 2] Sanjay was taken under custody and later the officer comes and says, boy you’re now stuck into 93 case (93 case is a bomb-blast case, where Mumbai took 12 bomb-blasts in its heart in 1993). 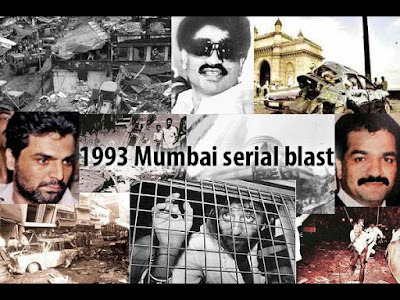 As I mentioned the names of 2 peoples, those were connected to underworld don Abu Salem (worked for Dawood Ibrahim) .Sanjay was totally in shock and said to officer that, “please don’t pull me in this matter “ but it was too late. 3] Sanjay Dutt was in solitary confinement, where prisoner is kept into 80 square feet cell for 23 hours and has 1 bed, a sink and toilet; each day prisoner get only 1 hour to stay out of the cell for exercise. He was literally gone mad inside the cell, he used to talk with ants and once he banged his head on the wall so hard that he got 50 stiches on his head. 4] Sanjay Dutt was released in 1997 on bail and even after releasing from jail he still had connections with underworld, here is a Phone Recording where he’s asking for help for his co-actress Karishma Kapoor. Click Here to listen that audio. 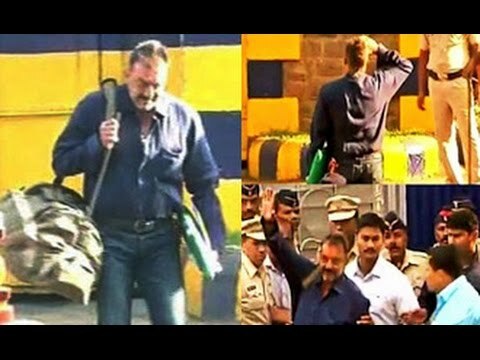 5] As every prisoner Sanjay Dutt has also given a job in jail where he used to make paper bags and earn 50 rupees daily, after releasing from jail Sanjay earned more than 30,000 rupees. He has done another job for other prisoners he was a radio jockey in the jail and used to tell them how he survived through his drug life and other stories. 6] After releasing from jail he saluted his national flag, but it was scripted because Rajkumar Hirani (Directing His Biopic, releasing on 29 July 2018) was filming that scene from outside the jail and wanted to share those moments with audience in his Biopic. 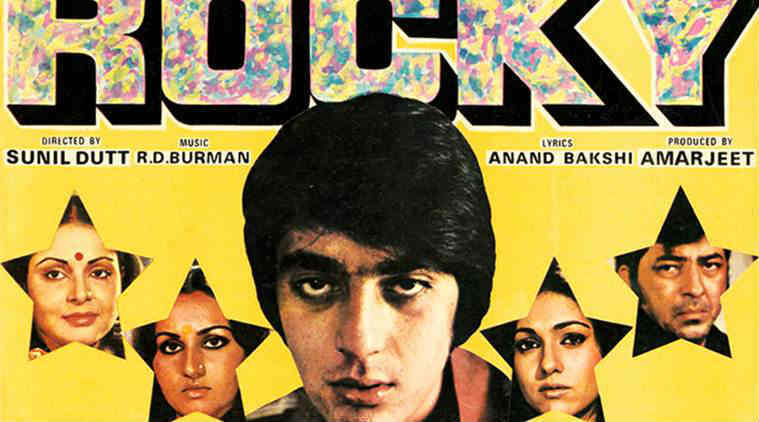 1] Sanjay Dutt used to do drugs on the sets, while filming the Rocky movie (Sanjay did his official debut) the cast supposed to be in Kashmir for shooting, so before the flight Sanjay hid his drugs in his shoes and blew them in Kashmir. Later he confessed in an interview that he used to do drugs on the sets in his initial film shootings and back then Sanjay’s friends used to call him Charsi (stoner). 2] Sanjay Dutt’s mother Nargis Dutt had cancer and was at last stage, at that time Sanjay’s first film Rocky was going to released and she wanted to attend the premier of the film. But sadly she passed away 3 days before the premier. 3] After the 93 case Sunjay Dutt arrested that year and was in jail, in the year 1993 his movie “Khalanayak” was going to released and the producer of the movie took advantage of Sanjay’s custody and promoted his tagline “Yes! I am Khalanayak (Villain)” and that movie was second blockbuster in 93. 4] Sanjay’s father Sunil Dutt used to tell to all producers that, if you want to sign Sanjay then you’ll need to be aware because my son is all time in drugs and if something happens on set due to him then that’s not my responsibility. 5] Munna Bhai M.B.B.S was the movie where Sanjay and his father Sunil Dutt was going to share the same screen for the first time, while shooting this film there was a scene where Sanjay and Sunil supposed to hug each other. This scene was so emotional for them; when the director said CUT, but still they both were in each other’s arm and it was very emotional for them. 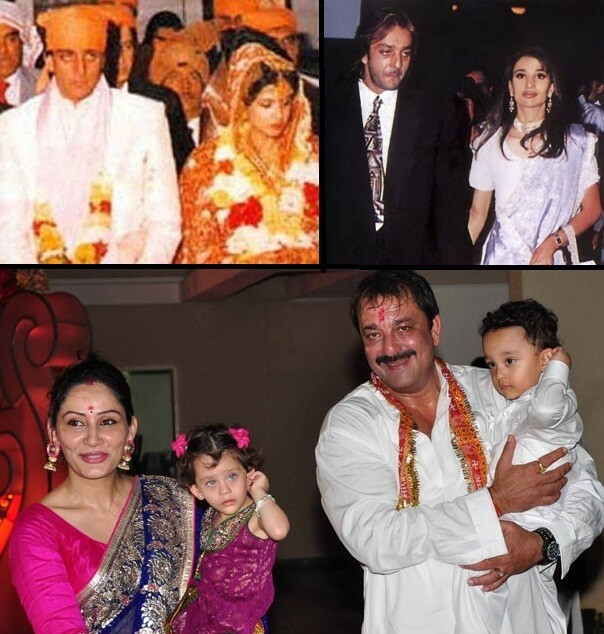 So These Were The Facts About Sanjay Dutt And His Family, Hope You Liked It!